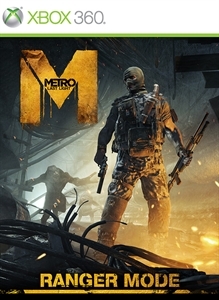 Become completely immersed in the world of Metro. The new Ranger Mode will challenge you by turning off the HUD and crosshair, making less ammunition available, and offering more difficult combat. With the purchase of the Ranger Mode you will also receive additional Military Grade Bullets which serve not only as the currency of Metro, but also as deadly ammunition. Also included is the AKSU, a compact but deadly Russian assault rifle, perfect for claustrophobic combat.